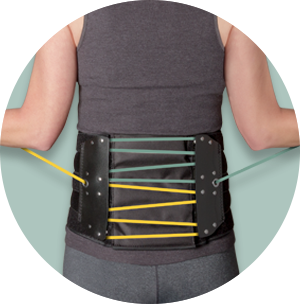 The QuikDraw™ RAP Complete is designed to help restore functional mobility by providing targeted compression to fatigued muscles which can spasm and cause pain. 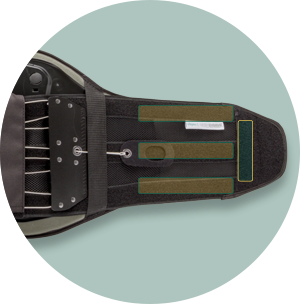 The performance characteristics of the brace encourage better patient compliance. 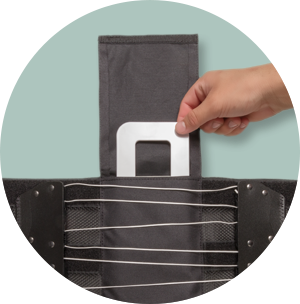 When coupled with a specific physical therapy regimen, the QuikDraw RAP Complete aids in obtaining improved patient outcomes. The QuikDraw RAP Complete includes the QuikDraw PRO and the regular Rigid Anterior Panel (RAP). 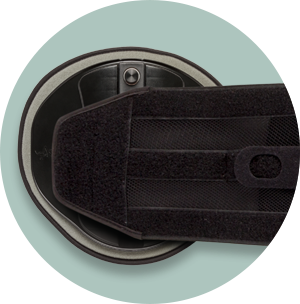 Padded Rigid Anterior Panel (RAP) adds structural support while maintaining a comfortable fit.